Brahmas are well feathered, calm, big birds who lay large brown eggs. The light Brahmas are large white feathered fowl with black hackle feathers edged in white, feathered legs and feet, and a black tail. 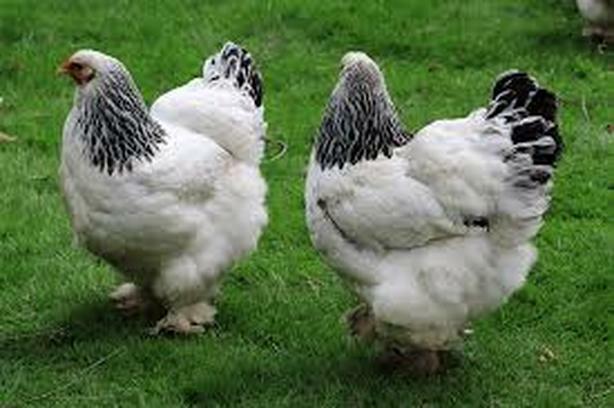 The saddle feathers on the male light brahma are striped with black. These hens are aprox. 8-10 lbs, dual purpose and great winter layers.